Compiled HTML Help (or ".CHM") files were introduced by Microsoft about the same time as Internet Explorer, Version 4.01. Originally, they were seen as the next generation of Windows help file technology. 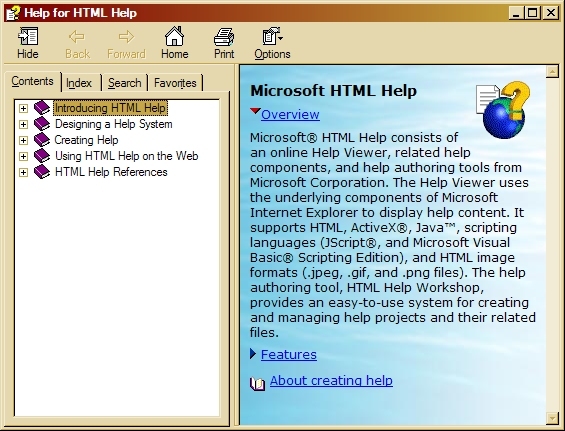 Further, Microsoft provided the tool necessary to create these files, a thing called HTML Help Workshop, for free. This briliant marketing strategy has made the ".CHM" file one of the most widely used forms of "help" system on Windows platforms the world over. WebAmphibian.Com personell first started to tinker around with the HTML Help Workshop to try to make some toys for kids. The first of these toys was later dubbed KidDrills, a rote instructional drill tool. Using KidDrills, children are able to learn simple facts about the states (flags, abreviations, founding dates, etc. ), the presidents (names, order, party affiliation, etc. ), as well as a number of other simple facts about our world. 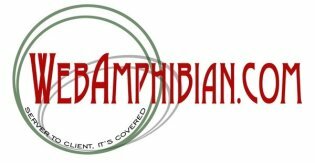 WebAmphibian.Com was approached by Multistate Academic and Vocational Curriculum Consortium to create a tool for generating KidDrill-like files based on specific curriculum that they already had in-house. After about a year of cooperative work with MAVCC, testOmatic was created. This web application allowed for instruction development specilists within the MAVCC organization to collectively convert their paper curriculums into electronic representaions, using the Compiled HTML Help facility Microsoft so kindly gives away for free. The product that MAVCC sells, "The Test Generator", is a direct predecessor of WebAmphibian.Com's testOmatic. With our version of this product, several extra test question types are supported, along with more direct access to the author of the program.